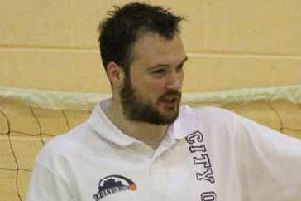 City of Edinburgh Kings and Kool Kats both found Paisley’s Lagoon Leisure Centre to be a less than idyllic setting as both lost there at the weekend and were overtaken at the top of the men’s and women’s Scottish Basketball Leagues. In many ways, Kings are having a similar season to Hearts: a long unbeaten run at the start followed by injuries, a Cup exit and a heavy defeat by the reigning champions. Kings were still reeling from their shock Cup loss in Ayrshire when they travelled west again to Paisley, and although teenager Owen Mackle and summer signing Konrad Kantorski were both fit to return, they ran into an inspired St Mirren side. The defending league champions had scraped past Boroughmuir Blaze in the Cup quarter-finals just 72 hours earlier, but they recovered from a slow start to lead Kings by nine points entering the final quarter. Coach Craig Nicol’s team had wiped out an identical deficit when beating Blaze two weeks previously, but this time there was no great escape as Saints pushed on to win 87-69. Dunfermline Reign beat Glasgow Storm to replace Kings at the top of the table, and Nicol’s side will be desperate to reignite their title challenge on Friday night when they face struggling Stirling Knights at The Peak. Knights lost to Boroughmuir at The Crags as Blaze bounced back from their midweek Cup defeat. It was nip and tuck until the home team pulled away in the third quarter, eventually winning 96-77. Skipper Eoghann Dover top-scored with 27 points, while Yannick Onifade and Chris Arazim also made it into the 20s. Elsewhere, Edinburgh Lions squandered a 16-point advantage as they went down 89-86 in overtime to Glasgow University at Broughton High. Edinburgh University are still waiting for their first win after visitors Falkirk Fury thrashed them 102-62. In the women’s league, champions City of Edinburgh began the weekend as joint leaders, but while Lady Rocks stayed top by beating Glasgow Fever, Kats failed to keep pace in Paisley. 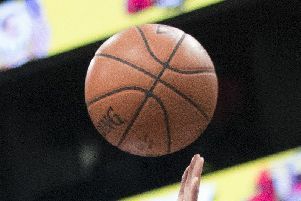 They were only three points behind St Mirren at half-time, but the gap grew to double figures in the third quarter and a late fightback fell fractionally short as Kats lost 66-65. Tracey Phillips led their scorers on 19. Cup holders Edinburgh University posted their third victory in seven days when they overpowered Falkirk 64-35. They play student rivals Glasgow University this Saturday.